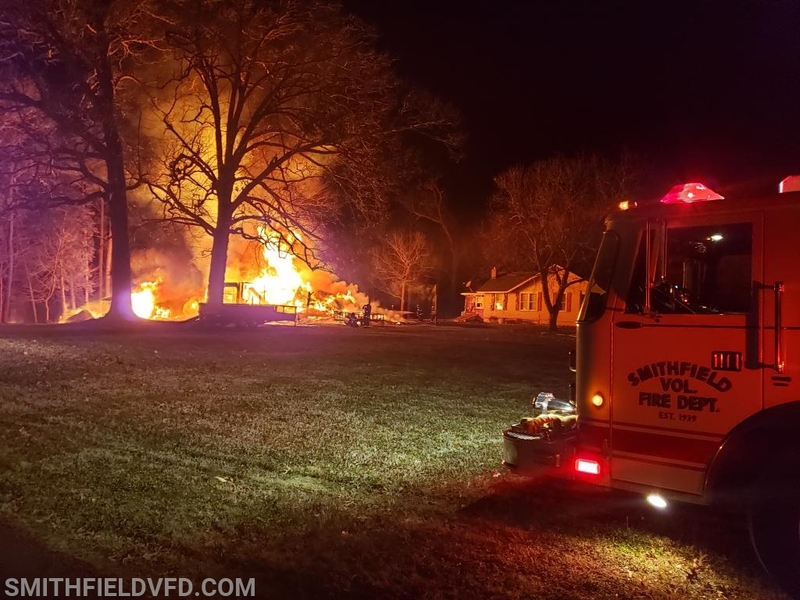 At approximately 1908 this evening, the Smithfield Volunteer Fire Department, Rushmere Volunteer Fire Department and Isle of Wight Volunteer Rescue Squad were dispatched to the area of Eagles Nest Ln. and Days Point Rd. for a reported structure fire. 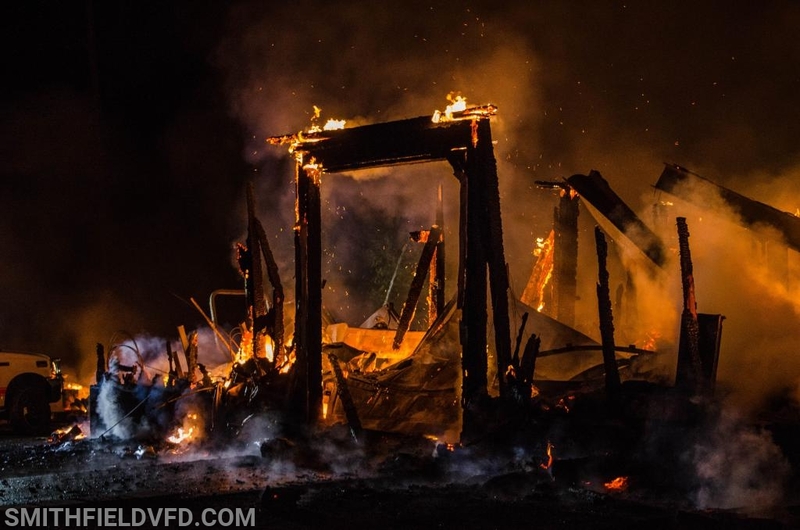 Division Chief Smith (508) was first to arrive and reported a barn fully involved with an exposure. Engine 53 arrived as the first due engine and setup to protected the exposure assisted by Engine 51 and Engine 52. Carrollton Volunteer Fire Department’s Tanker was immediately requested to assist with water supply. Units operated on scene for approximately 3 hours. No injuries were reported. 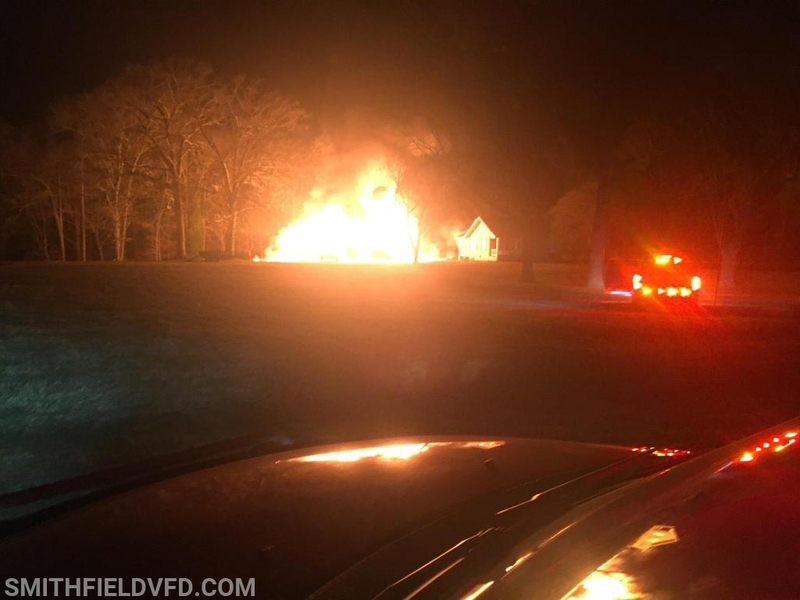 Windsor Volunteer Fire Department assisted by backfilling Station 50 with an engine company and responded to an alarm activation during this incident. 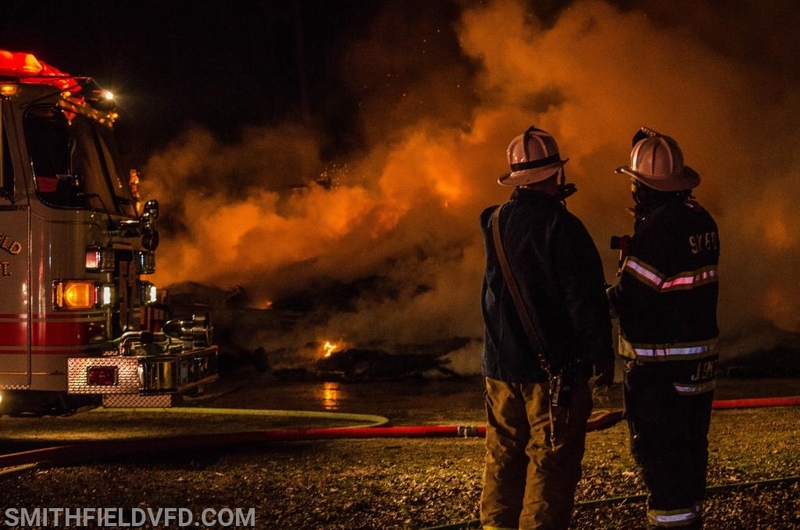 The SVFD would like to thank all agencies who provided their assistance for this incident.